In 2003, the Mississippi Tennessee Railroad, L.L.C gave Notice of Abandonment of its rail line between New Albany and Houston in northeast Mississippi. Soon thereafter, local officials visited the Longleaf Trace in Hattiesburg, which is known for being one of Mississippi’s first Rails-to-Trails Conservancy projects and an exceptional recreational trail. Officials expressed interest in developing a similar trail to preserve the proposed abandoned right-of-way while offering recreational opportunities for citizens. Numerous discussions and meetings followed. On November 11, 2005, trail advocates gathered for a public meeting at the office of the Chamber of Commerce in Pontotoc, Mississippi. Approximately 30 people attended the meeting and a number of individuals from Chickasaw, Pontotoc, and Union counties who could not attend called to express interest in the project. The attendees voiced concerns about the unknown as well as optimism about the potential benefits a non-motorized, well-managed, and well-maintained trail would bring to the affected communities. Prior to adjournment, the attendees asked Bill Wardlaw, the Director of the Pontotoc Chamber of Commerce, to invite Herlon Pierce, the Trail Manager of the Longleaf Trace, to speak before the group in December. On December 15, 2005, Herlon Pierce spoke before a room full of citizens, civic leaders, landowners, and officials from Chickasaw, Pontotoc, and Union counties. Mr. Pierce spoke of the Longleaf Trace's five-year success and its economic benefit to Hattiesburg. He also told of the potential growth opportunities and positive impacts for communities along the trail. Finally, he discussed the funding, maintenance, and organizational methods. With the positive dialog, citizens adjourned to return for further discussion in 2006. In February 2006, a grassroots organization, the Rail Corridor Alliance (RCA), was formed for the purpose of advocating and promoting the preservation of the abandoned railroad right-of-way as an intact corridor from New Albany to Houston for economic development. Zack Stewart was elected Chairman and a representative from each county was elected as a County Co-Chair. The individuals selected were Don Locke (Chickasaw County), Paul Dillard (Pontotoc County), and Betsey Hamilton (Union County). The Voting Task Force was made up of 15 members (five from each county) and included the aforementioned Chairman and Co-Chairs as well as Joyce East, Bryon Wilson, Fred Nabors, and Jo Higginbotham (Chickasaw County); Nathan Tutor, Harrison Caldwell, Lena Chewe, and Jack Savely (Pontotoc County); and Amanda Kent, Jill Smith, and Jack Dalton (Union County). Throughout the following months, members met regularly to gather pertinent data and become better informed. Members selected the Tanglefoot Trail as the preferred name for the proposed trail since “Tanglefoot” was the name of the work engine used in the construction of the original line. Three Rivers Planning & Development District became the fiscal agent and administrative agent and efforts began to organize a recreational district as set forth through state legislation to manage and maintain the proposed trail. 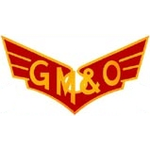 The name GM&O Rails-to-Trails Recreational District of North Mississippi was selected as the GM&O Railroad was the last line to run through the three counties to the Gulf. In August 2008, the Mississippi Department of Transportation announced a grant award of $5.1 million. The District received an additional $350,000 appropriation to assist in the purchase, construction, and development of the Tanglefoot Trail as a nature trail and path for bicyclists, hikers, and other recreation activities. The purchase of the right-of-way was made for $1.45 million in July 2008. In August 2010, the District received an additional $4.5 million grant, which made it possible to asphalt the entire length of the trail. The District selected Engineering Solutions, Inc. as its trail engineer. The trail facilities include four whistle stops in Ingomar, Ecru, Algoma, and New Houlka. In March 2007, the Mississippi Department of Wildlife, Fisheries, & Parks awarded the District a $100,000 grant for whistle stop construction and the E. Rhodes and Leona B. Carpenter Foundation provided an additional $40,000 for the aforementioned facilities in December 2012. The District selected Howorth & Associates to serve as the architects of the facilities. The District awarded the trail construction contract to Glasgow Construction Company in December 2011 and construction was completed in the summer of 2013. Trailhead and gateway facilities are planned for New Albany, Pontotoc, and Houston along with other trail amenities. While the Tanglefoot Trail’s construction and whistle stops were made possible through grant funding from Federal Highway Administration, Mississippi Department of Transportation, Mississippi Department of Wildlife Fisheries and Parks, Appalachian Regional Commission and E. Rhodes and Leona B. Carpenter Foundation, the project would not have been possible without the cooperative efforts of the mayors and aldermen of each municipality and the supervisors in each county; a dedicated volunteer Board of Directors; the support and staff of Three Rivers Planning and Development District; and the support of sponsoring businesses, organizations, and individuals. With the opening of the Tanglefoot Trail in September 2013 one milestone ended and others began.